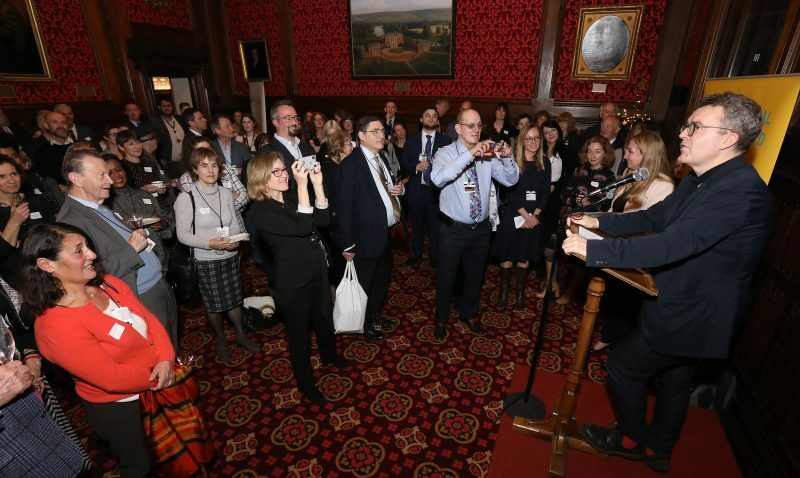 On the 4th of December 2018 writers, Lords and MPs attended the All Party Parliamentary Writers Group (APWG) winter reception. 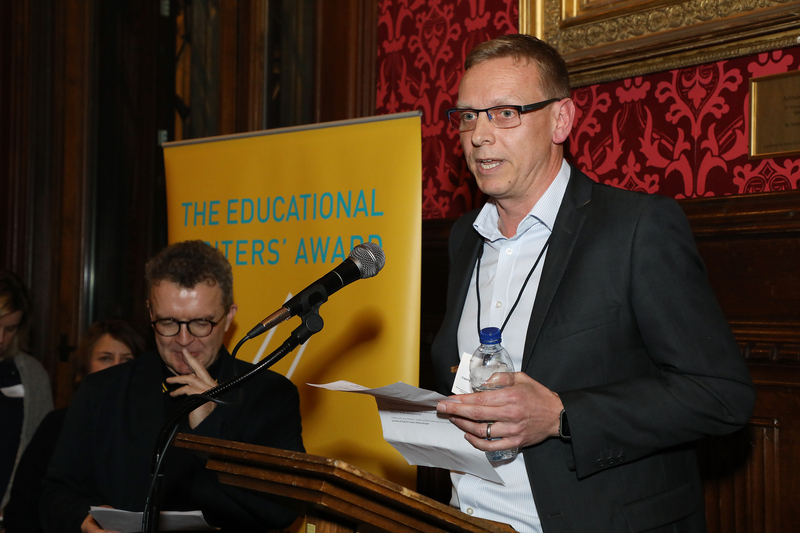 At the APWG Winter Reception the winner of the Authors’ Licensing and Collecting Society (ALCS) Educational Writers’ Award was revealed. 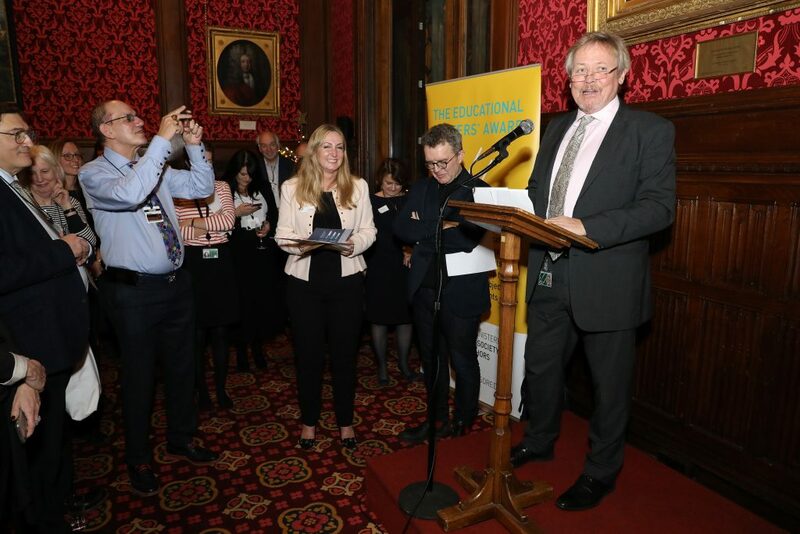 Proceedings began with a speech by Giles Watling MP, who gave an insight into his 50-year career as an actor and likened the small amount of royalties he still receives for television re-runs to the money authors receive for their writing. Mentioning the findings of ALCS’ most recent authors’ earnings survey, he pointed out that the average author doesn’t earn enough to make the income tax threshold. He commended the perseverance of authors, telling them ‘nothing happens without you – there’s no informative leaflet, no textbook, no play, no illuminating children’s book… it starts with you’. Giles also announced that ALCS now has a landmark 100,000 Members. Mat Pfleger, Chief Executive of the Copyright Licensing Agency (CLA) outlined his organisation’s work in selling licenses to educational institutions, government bodies and others that ensure creators are rightfully remunerated for the reuse of their work. As well as collecting secondary royalties for ALCS’ 100,000 Members, the CLA also collects for 50,000 visual artists and around 3,500 publishers. Mat highlighted CLA research in 2017 which showed that ‘many teachers spend up to 5 hours a week sorting content for use in lessons’. As a result of this, he said, ‘CLA is working on a number of initiatives to support the Department for Education’s goal to reduce teacher workload but also to support schools in making the best use of quality published content rather than relying on the web’. More details of these CLA initiatives are due to be revealed in 2019. 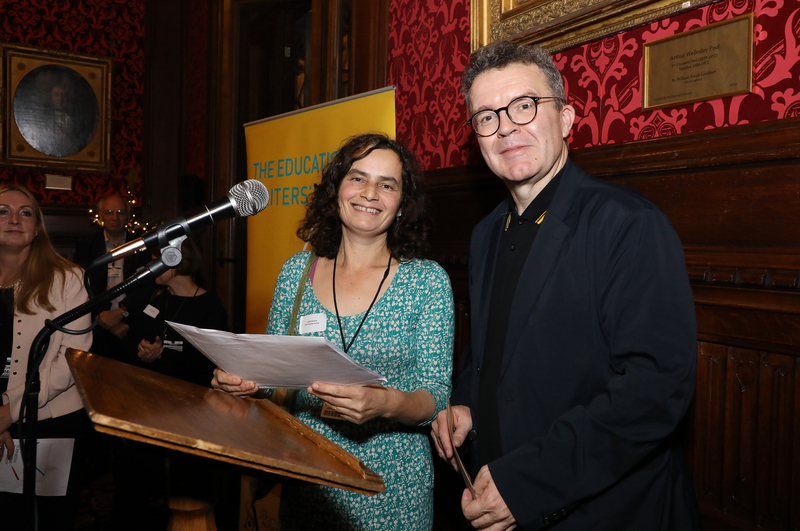 Océane Toffoli, Senior School Librarian at Wimbledon High School and one of the judges for this year’s Educational Writers’ Award, introduced the shortlist. Around 40 books were entered for the Award, and the competition was fierce, she said. Tom Watson then announced that the winner was Cath Senker for her book, Far From Home: Refugees and Migrants Fleeing War, Persecution and Poverty, published by Franklin Watts. Cath Senker thanked her editor, the commissioner and refugees and volunteers who work with refugees. She gave an impassioned speech about the need to help those seeking refuge and encouraged people to do all they could to help the refugee community.